Inventing is often a solitary job, and solitary can sometimes mean lonely. But partnering can be a costly way to cure loneliness if it's a bad match. Lost time can have a very negative impact on your invention; even more than lost money. Having been in that situation more than once (ouch! ), I don't partner unless I have a very sound business reason. Partnering with a funding source, a manufacturer, or a marketing professional might be a good business decision. I would do my due diligence: get referrals, conduct research on the company, interview the primaries, and speak with at least three references (see Find The Right Attorney For You!). Before venturing into partnership, you should know yourself well, refresh your goals, (see How Do Inventors Go To Market? Part 5: Become An Entrepreneur! ) and determine the kind of company or individuals you need to work with. 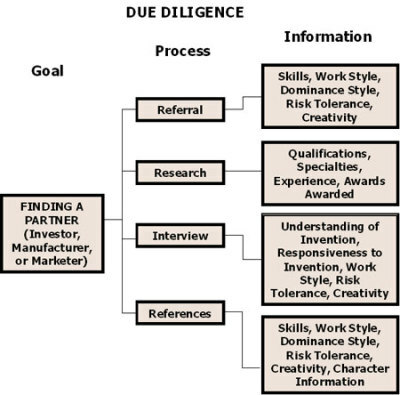 If you know these things before you start due diligence, you'll have a much greater chance of a successful partnership. First, we are always creating. We do not create just inventions, but virtually everything around us. If it's already been created, we recreate it in our minds. This makes it particularly hard to find a partner who, for example, has a special set of skills and knowledge, such as marketing, for example. We shun the notion that the means of approach to an audience, let's say, is known and fixed. I refuse to believe, for example, that the current one-to-two minute infomercial is the only way to direct sell a product on TV. One of my products, in the hands of a big "infomercial specialist," totally flopped. What was the $200,000 reply to the results? "The product doesn't sell well on TV." Could it have been that the fill-in-the-blank, one-size-fits-all infomercial formula didn't fit my product? Why doesn't someone venture out and try a different script? Inventors need partners highly skilled in their fields, but flexible in their approach. Good listeners. Adventurers. Partners who create a plan for the product, not squeeze a product into a plan. Perhaps as a natural companion to creativity, we are optimistic. When we get an idea for a product, we are certain that it will work, and we persevere to make it work. We see endless possibilities. The public image of inventors is that we are dreamers, but if we were only dreamers, we would not create anything. We dream, and then we work to make our dream a reality. You are very kind and I will continue to do my best to share my experiences with you. When I read your articles it makes me reflect back on my own experiences while pursuing this amazing field of inventing. Your father approach echoes my thoughts of not having to be an expert in the development field. I wasn’t an expert in developing products or commercials but I teamed up with the right people. 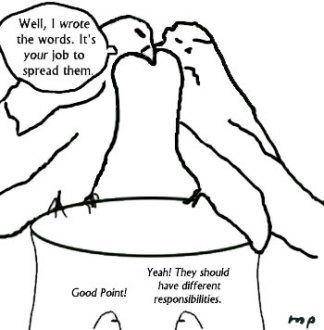 Partnering up can be real difficult when it comes to the right people. An example of this problem happened while on the ABC American inventor show while in the development stage. I was criticized for a backup plan in place from TV writers who know nothing about the process and thought I should have fired them. I realized that my first team had their own agenda and wanted me to fall into their plan. They were not listioning to me! I was running out of the top commodity here called time. I remembered using my packaging group before the show for another project I did 10 years ago. I decided to control the budget from plan A and have enough for plan B in case they didn’t come through. If I fired them like people suggested I would have had nothing to show for the time and $$$$$ spent on them. This I learned when pitching to possible investors. If your main revenue stream fails in your business plan you better be able to show other ideas for a backup plan or your not going to see it to fruition!